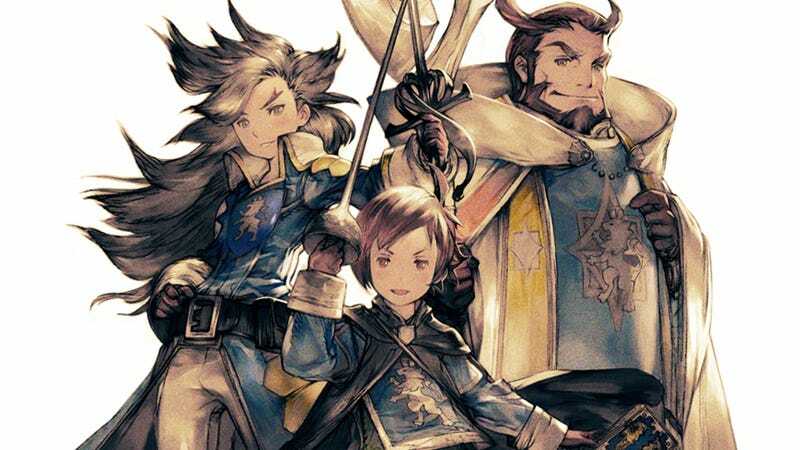 Bravely Default is a darling of a JRPG that hearkens back to the Final Fantasy games of yore—and one of the best games the 3DS has to offer. From playing the game's demo, Bravely Second seems like simply more of the classic JRPG gameplay you know and love. The Tokyo Game Show demo was rather simple: in an unvoiced cut scene, our heroes learn that a young boy has been kidnapped by a group of brigands who have escaped into the woods. Thus, your mission is to rescue the poor boy before it's too late. So you head to the woods, do some turn-based battles, fight the boss, and rescue the child to reach the end of the demo. There is not much to say about how Bravely Second plays. Its battles work identically (as far as I could tell) to the first game. All the strategy is built around using the “default” command (which defends and saves an action for your next turn) and the “brave” command (which allows you to use the turns you've saved up) to defeat your enemies. The biggest change I saw in the demo was the dungeon layout and presentation. The camera in the forest was almost side view. Therefore, to traverse it, you were constantly moving in and out of the various layers of the background. It was a creative use of the 3DS' 3D capabilities, and I look forward to seeing if this design is prominent in the full game. The other addition the demo was the new wizard class which allows you to not only cast a spell but modify it—i.e., speeding up its priority, making it damage over time, or making it affect all enemies or allies—at the expense of an extra brave point. But really, when it comes down to it, the Bravely Second demo seemed like more of the same. And frankly, considering how enjoyable Bravely Default is, I see no problem with that. There is currently no announced release date for Bravely Second.